Over half the people with rosacea affecting their skin have some symptoms of ocular rosacea. People who have ocular rosacea may have red or bloodshot eyes, burning, tearing or the sensation of sand in the eye. 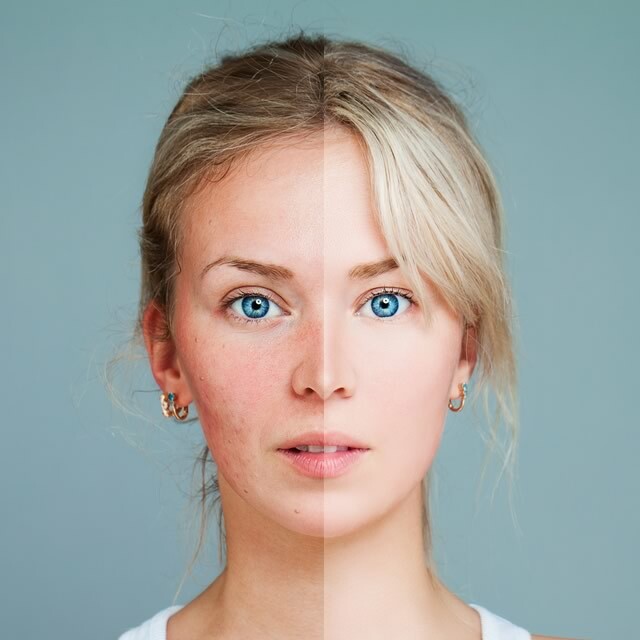 Rosacea cannot be cured, but it can be treated. Dr. Lattman treats ocular rosacea and blepharitis with a combination of lifestyle changes, nutritional supplements and prescription medications. Please reach out to Sophia, our Patient Coordinator, with your photos and questions, via email at sophia@nyplasticmd.com or by phone at (212) 832-5456, or schedule a consultation.